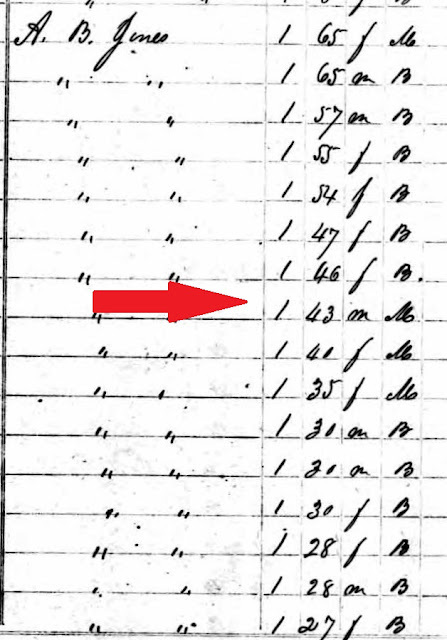 Digging in The Dirt --Part Three: Did Allen B. Jones Own My 3rd Great Grandfather, Cesar Jones? Me and Mr. Allen B. Jones might have a thing going on. Well at least that's what I'm speculating here. Sorry it's been a while folks. I hated leaving off in the middle of a series but I was in need of a break. I'm feeling refreshed now so it's time to dive back into things. 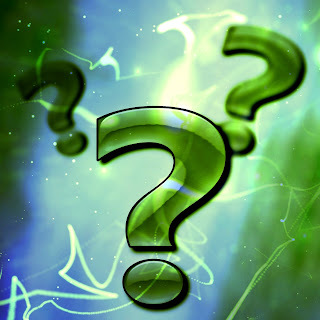 Digging In the Dirt -- Part Two: Who Was Jonathan Hawkins? For those of you who are new to my blog, here's a quick summary of my Jones family line. My Joneses were originally from Swansboro, Onslow County, NC and then later settled in Morehead City, NC sometime around the Civil War. My 3rd great grandparents Cesar Jones and Mary Hawkins Mitchel Jones and their children were slaves prior to the start of the war. Based on information found in their son Carolina Hawkins's Civil Pension file, it appears that Carolina was owned by someone with the surname of Hawkins, while his father's owner went by the surname of Jones. In an affidavit found in that file Carolina mentioned that he was surprised to learn that his family had changed their name to Jones prior to his return from the war. This gave me the impression that my 3x great grandfather Cesar was owned separate and apart from his family. In Part Two of this series I speculated that a wealthy farmer by the name of Jonathan Hawkins was a strong candidate for the owner of Carolina Hawkins, his siblings, and his mother Mary Hawkins Mitchel Jones. Who owned Cesar Jones then? I believe that the answer to that question could possibly be Allen B Jones of Onslow County, NC. I have to admit I don't have a lot to base this on. My gut just leads me to him. Allen B Jones was born November 22, 1802 in Onslow County, NC to William and Sarah Jones. He was a wealthy farmer who by 1840 owned 36 slaves. The one slave male aged 24--35 peaks my interest here because he just might be my 3rd great grandfather Cesar Jones. I silently scream to myself every time I find myself reviewing through slave schedules. The scream says, "What were your names?" Ah, but property of course was not to be listed by name. (Sigh) Just another one of the many indignities suffered by those who were enslaved. Is this Cesar Jones? I don't know. 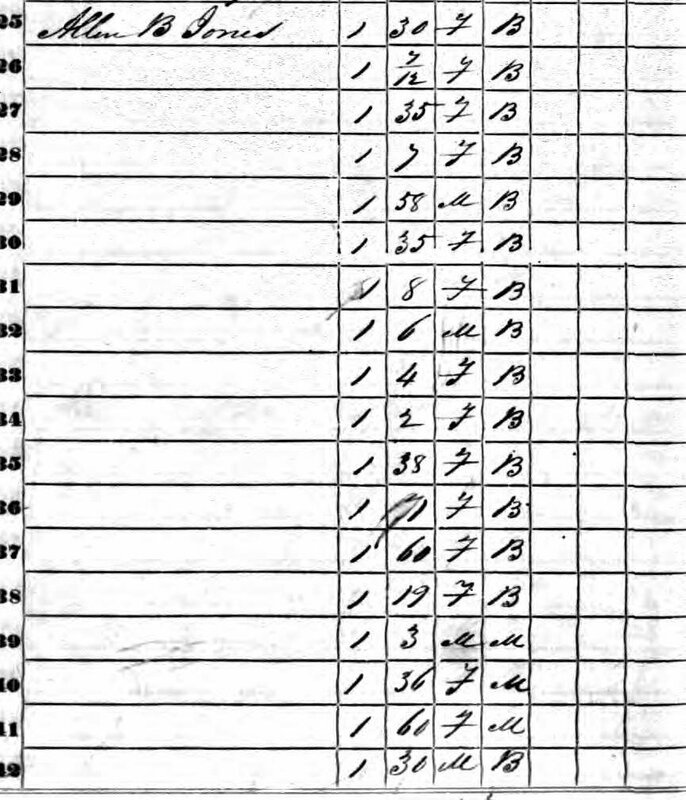 The 1850 Federal Census for Allen B Jones shows a 35 year old male who again, just might be my 3rd great grandfather. Source Information Ancestry.com. 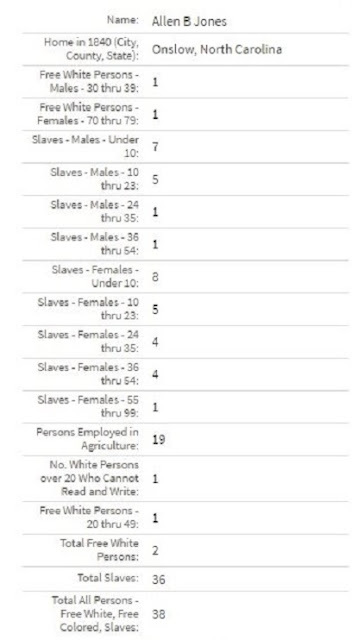 1850 U.S. Federal Census - Slave Schedules [database on-line]. And then in the 1860 Federal Census Slave Schedule, there's a 43 year old male I have my eyes on. Source Information Ancestry.com. 1860 U.S. Federal Census - Slave Schedules [database on-line]. So yes there's someone who fits the correct approximate age listed on each of these censuses for my Cesar Jones. What else may lead me to think that there may be some sort of connection to my Jones family line. Let's talk about names. It's important to follow naming trends within families when researching your African American ancestors. Names are often passed down from generation to generation. Another thing to look at is the surnames of those who marry your family lines. Violet Jones was one of the children of Cesar Jones and Mary Hawkins Mitchel. Violet married a man by the name of Warren Devaughn. So with that information in mind, my eyes were really intrigued by a name that looked very similar to Devaughn listed on a census that Allen B Jones was listed on. Source Information Ancestry.com. 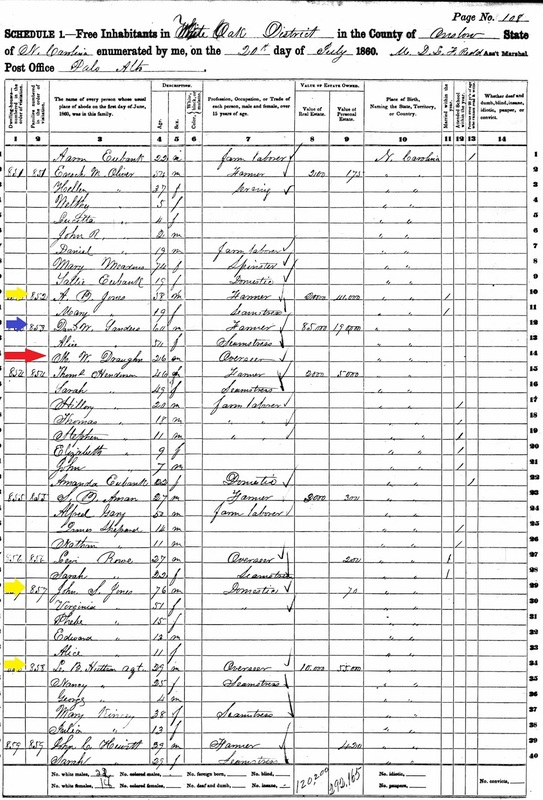 1860 United States Federal Census [database on-line]. Allen B. Jones is noted as "A. B. Jones" here. 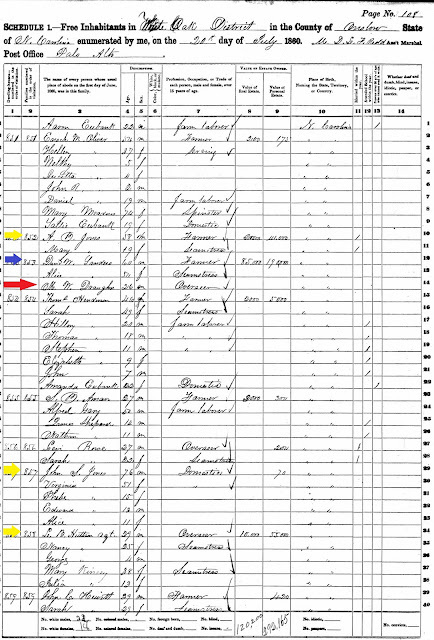 I marked his entry with a yellow arrow as well as "John S. Jones" and "L. B. Hustson agt." John S Jones was one of Allen's brothers and L B Hutson was an agent acting on the behalf of the estate of Edward Starkey Jones, who was another Jones sibling. Things get interesting when you get to the red and blue arrow. The red arrow is next to the name "M. W. Dvaughn." He was a 26 year old man who's occupation was "overseer" for D. W. Sanders. Perhaps this man had some sort of connection to Warren Devaughn, the husband of Violet Jones, my 2nd great grand aunt. 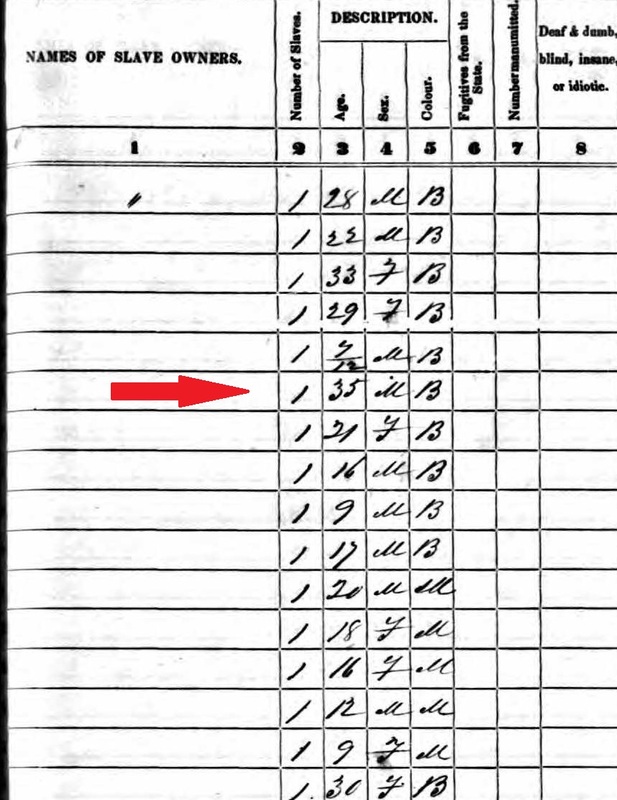 The blue arrow points to the name D. W. Sanders which stands for David Ward Sanders who was another wealthy farmer from the White Oak district of Onslow County, NC. Besides owning many slaves he had something else in common with someone I wrote about in a prior post. He owned a salt works. Hmm sound familiar. Well, that's because Johnathan Hawkins who I wrote about in Part Two of this series also owned a salt works. Here's an excerpt of the newspaper article I featured in that post. It's from the Wilmington Journal dated September 11, 1862, Page 2 and gives a description of when Federal forces arrived in Swansboro, NC on the afternoon of August 14th. On their arrival at Swansboro, every dwelling house was searched and all the arms found were carried off; they stold all the negroes who gave them any information relative to our loyal citizens or where to find and plunder, and carried them off ; destroyed Mr. Sanders and Mr. Hawkins Salt Works and done whatever other mischief they saw fit and left on the next Wednesday in high spirits. Were these two in business together or did they each own a salt works? What was their connection to Allen B Jones? To help answer the first question, here's a portion of a letter I found online on a site called Ehistory created by The Ohio State University. To see the letter in it's entirety please click here. The letter was dated August 20, 1862 and was addressed to Major General H. W. Halleck from Major General J. G. Foster. The vessels rendezvoused at the mouth of White Oak River, Swansborough, landed, and took possession of the town. The next day the two ligtest-draught steamers started up Stumpy Sound, and, having proceeded 2 miles, landed a detachment of troops, who, marching down the banks of the sound, found and destroy the salt-works of a Mr. Hawkins, with a store-house partially filled. These works were quite extensive and well filled up, and had a capacity of about 7,000 bushels per annum. The force then proceeded to the works of Colonel Saunders (capacity about 2,500 bushels per annum), which they destroyed, and hearing of no other works of any consequence, the detachment returned to their vessels. This gives me the sense that we were probably talking about two separate enterprises but they were close in proximity to one another. Folks in the same business and same town probably run in same social circles. They may have done business together or possibly employed some of the same slaves. Now what about the connection to Allen B. Jones. 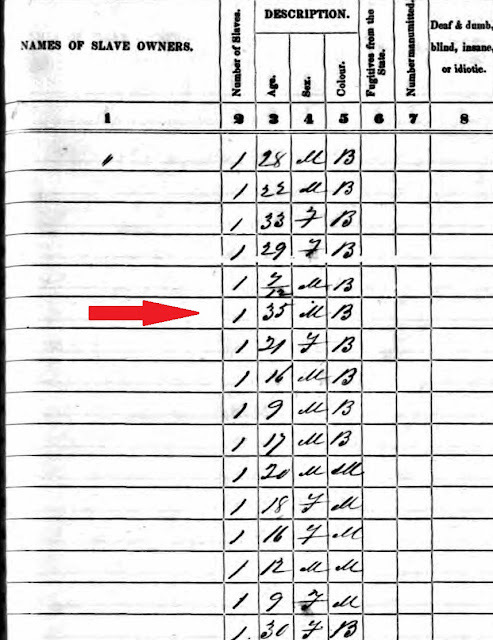 When looking at the 1860 census page I featured above you see Mr. Jones and Mr. Sanders were enumerated one right after the other. I would be willing to bet that Allen B. Jones probably hired out some of his slaves from time to time, perhaps even to his neighbor D. W. Sanders. Let's speculate that my 3rd great grandfather Cesar Jones was owned by Allen B. Jones and hired out to work for D. W. Sanders at his salt works. If Cesar was skilled in this kind of work, it would make sense that he may have worked at more than one salt works. Perhaps he was hired out for a period of time to work for Jonathan Hawkins. I know it's a lot of speculation but this is where putting the pieces together of our ancestors lives often begins. You look at the evidence and build a theory. As you uncover more information, you see what holds true. I am having the same problem as I try and figure out the plantations my 2 X great grandmothers Celia Rice in McMinn Cty TN and Emma Jones in Lowndes Cty AL came off of. I haven't yet found a reason why Emma's husband Joe Turner would have been working on the speculative Jones plantation but I hope I will uncover something soon! I should write up what I have so far. I hope you find something soon too, Kristin! Writing up what you have so far can be helpful. I am glad I did it in this case so I know where I left off in my thought process in case I don't get back to doing research in a while.